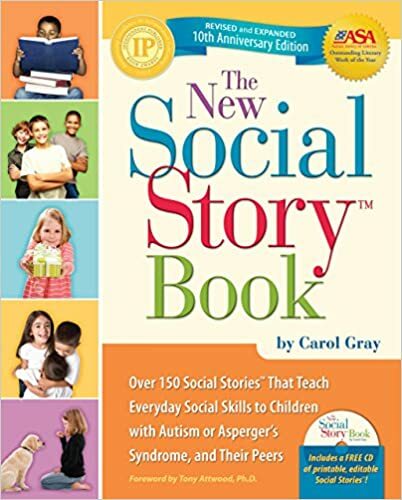 Social and what-to-do stories are a tried and true method of explaining events and timetables to children with additional needs. Information on Social and What-to-Do Stories is listed below. This is a blog and resource center to direct families to, as well as have a look around for yourself! This is the link to the social stories page! This book offers ready-to-use stories that parents and educators can use in the home and at school. It also provides instructions and strategies for creating custom stories, with modern designs complete with full-colour photos. 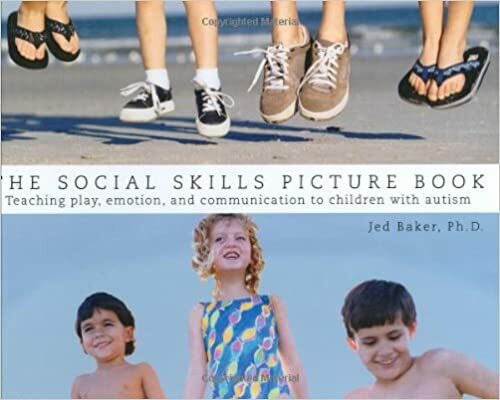 This book uses photographs of students engaging in a variety of real-life social situations to teach appropriate social behaviours. Colour photographs illustrate the ""right way"" and ""wrong way"" to approach each situation and the positive/negative consequences of each. Children role-play skills until confident enough to practice them in real-life interactions. These videos demonstrate social skills by modelling peer behaviour at school, on a playdate, at a birthday party, on the playground, at a library, at the dentist, restaurant, and more. Designed as a teaching tool for children, adolescents, and teenagers with ASD and developmental delays, the videos are used by teachers, parents, and therapists. Real children model each skill. This website is link after link after link of social and what-to do story!! It is a great resources. The best way to get the most out of it is to 'print' your story and then save it as a PDF. A forgotten gem!